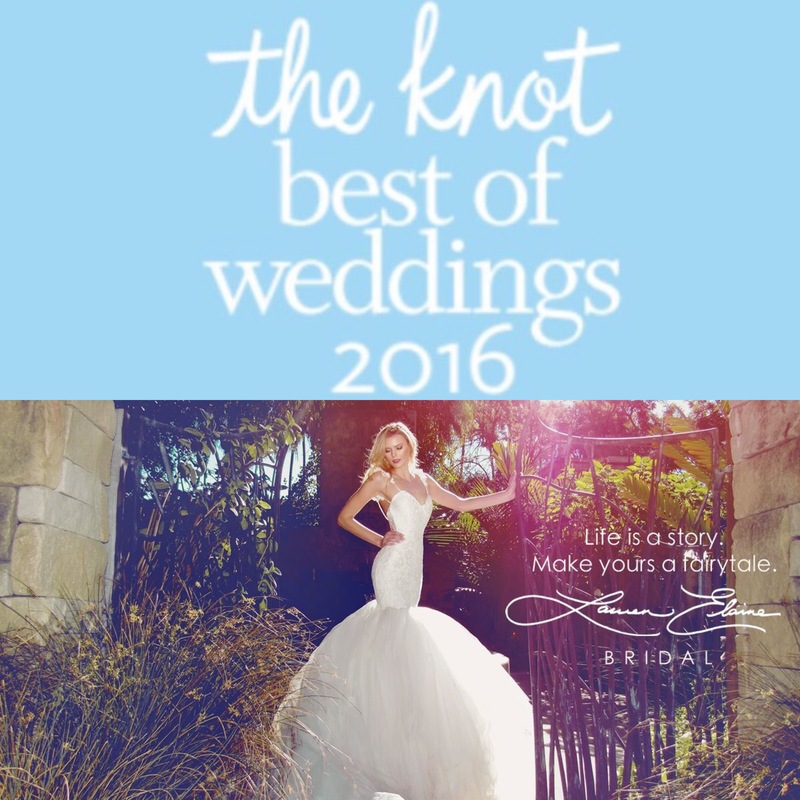 We’re beyond excited to announce that we’ve been named a ‘Best of Weddings’ 2016 brand by The Knot! A HUGE thanks to all of our wonderful brides who have rocked Lauren Elaine and shared their special day with us! We LOVE our brides, and can’t wait to see how 2016 unfolds! We’ve also added a new section to our website devoted to all of our gorgeous brides! We LOVE receiving pics! Send us yours to info@lauren-elainedesigns.com OR tag @LaurenElaineLED / @LaurenElaineBridal on Instagram!